Samsung's ST95 ultra-compact is one of the smallest and easiest to use entry-level digicams on the market. It comes loaded with a 16-megapixel imaging sensor, 3.0-inch Touch LCD, and great image quality for its class. Read more in our Full Conclusion. 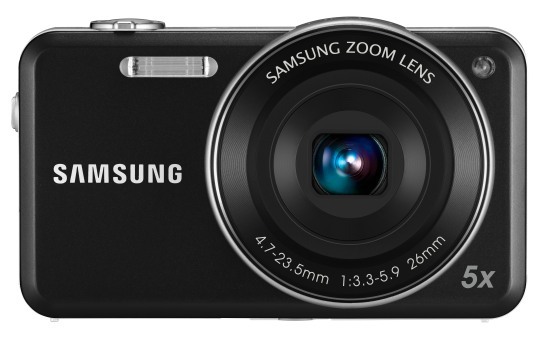 The Samsung ST95 is an aggressively priced touchscreen digital camera that utilizes a 16-megapixel 1/2.3" image sensor, a 26mm Wide 5x optical zoom Lens, and a 3.0-inch touchscreen display to control all the camera's functions similar to an iPhone. The camera also shoots 720p HD video using the H.264 codec for longer recording. In addition, it comes with the standard array of "Smart" features including filters, an album function and automatic correction when shooting. The Samsung ST95 comes in either black or silver, with a MSRP of $179.99 US. See our buy boxes below for the most current pricing online.